Ayegardening Ltd, has been shortlisted for the APL Awards 2018! The annual awards ceremony, sponsored by Bradstone, takes place on Friday 16 March 2018 at The Brewery, London, to celebrate and recognise the outstanding landscaping carried out by members of the APL. 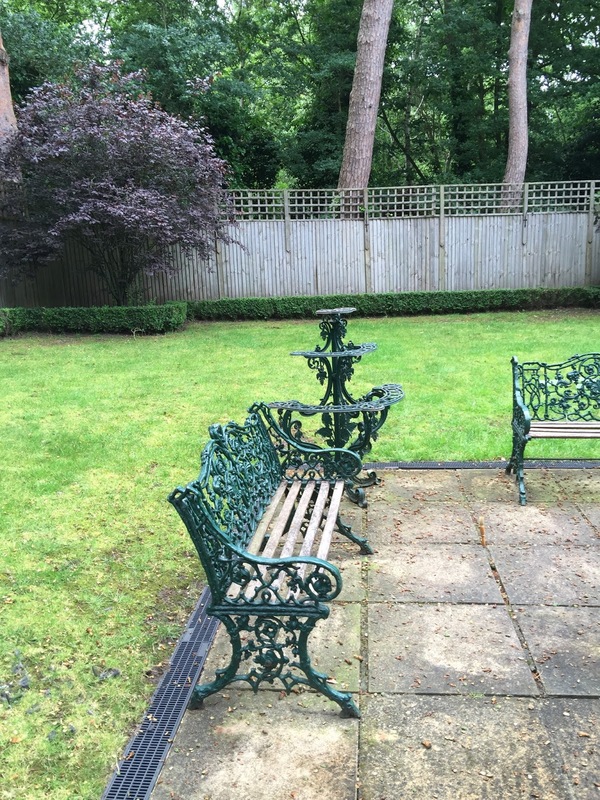 Ayegardening's project, Lyndhurst, is in the running for the project value £20,000 - £35,000 category. The garden was originally just a mossy lawn, an old algae-ridden patio and dying box hedges. The client wanted to keep two trees in their garden and the area of Mediterranean planting round the side of their house. The other issue in the garden was squirrels! So we drafted in Renee, from The Girl Who Gardens, to come up with a planting plan that filled the brief - dappled shade, tall Scots pines surrounding the area, plants that squirrels won't eat (hopefully!) all your round interest and sandy soil with slightly acidic PH. 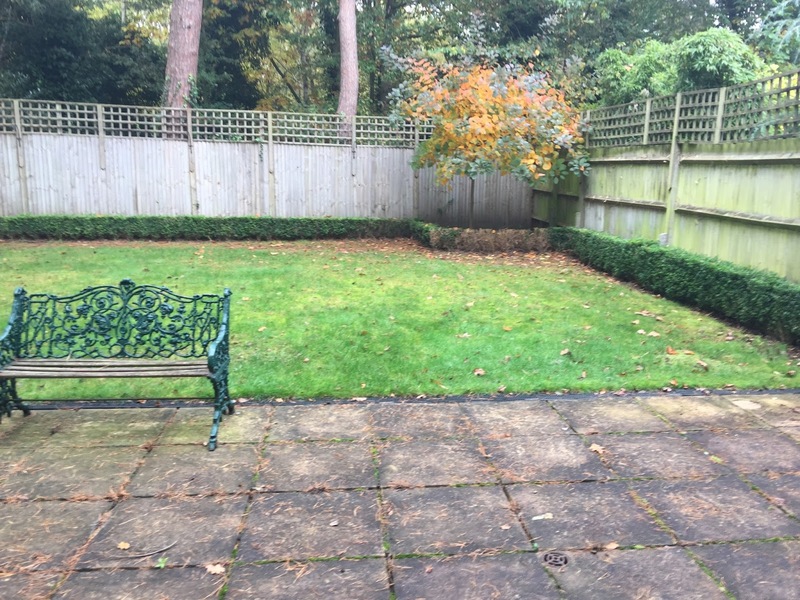 The garden was on a slope and so we installed a retaining wall one side which created a sunken patio area that could be used for a feature or a small dining area. The client's opted for a fake lawn as a real lawn never survived due to squirrels dropping chewed up pine cones and lots of moss due to the limited light. Landscaping boulders and gravel was used in the design around the planting and patio. The clients had fell in love with a gorgeous wrought iron arbour at The Chelsea Flower Show the previous year. We incorporated it into the design. It was made bespoke for the clients. Later on in the year they added a fire pit from The Fire Pit Company as a feature under this area. The area could also have a small table and chairs added here. Tumbled black sandstone was used down the side path and in the sunken area. A beautiful porcelain patio was created outside the patio doors. Cinder paving by London Stone was used as the client's liked the look of wood but wouldn't be able to keep up with the maintenance as the garden was quite shaded and squirrels like to chew and spit pine cones everywhere! The perfect choice was cinder porcelain as it has the warmth and character of aged wood but is a low maintenance and non-slip alternative to real timber. The standard of entries to the APL Awards 2018 exceeded expectations and Ayegardening Ltd was picked from a record breaking number of submissions. Ayegardening is a professional, friendly, and ethical family run landscape gardening business in Surrey. Serving the Dorking, Reigate, Horsham, and Crawley areas spanning across parts of Surrey and West Sussex and into Greater London. The Association of Professional Landscapers (APL) represents landscapers who meet a required standard of professionalism. Members of the Association are registered with the government endorsed TrustMark Scheme www.trustmark.org.uk. They are regularly inspected and agree to follow a customer charter with clients. The APL is a specialist group of the Horticultural Trades Association (HTA), the trade association for the UK gardening industry, dedicated to helping develop the industry and its member businesses, including most garden centres and other garden retailers, growers, landscapers, manufacturers and service providers.